Alexei Pajitnov's puzzle series has come a long way since its introduction. We look at the handheld evolution - and slight de-evolutions - of the series. Tetris 2 (Nintendo, Game Boy, 1993) - Tetris 2 lost a little luster, as Nintendo tweaked the formula just a little bit. The game introduced tetromino-style pieces that broke apart upon being placed, making the strategy a little bit different. Frankly, we liked the game the way it was in the original, although this turned out to be a good seller as well. Tetris Blast (Nintendo, Game Boy, 1995) - This combination of the Super Tetris and Bombliss franchises introduced enemies to fight, while keeping variations of the gameplay as it moved along. The results were somewhat mixed, although this game definitely had its fans when it came out. Still, it didn't get the kind of attention that the original received. Tetris Attack (Nintendo, Game Boy, 1996) - Tetris Attack wasn't really Tetris at all, but rather a variation of the popular Japanese puzzle series Panel de Pon. But no matter - it was the best Tetris-licensed game since the original, with a variety of puzzles, fast gameplay and plenty of stages to complete. The series has since evolved into the Planet League series, with Planet Puzzle League released last year for the Nintendo DS. Tetris Plus (Jaleco, Game Boy, 1997) - Tetris Plus plays just like the original Tetris, but with a twist. A roving professor moves around on the platform, and you must eliminate puzzle pieces to get him to the bottom. The twist wasn't really that novel when it comes to the gameplay, but at least the game was more fun than other Tetris excursions (aside from Tetris Attack, that is). Tetris DX (Nintendo, Game Boy Color, 1998) - Tetris really hit the next level with the release of a modified Tetris game for the Game Boy Color. In DX, you get to strove off a series of all-new modes and puzzles as you master your Tetris skills. This game nearly sold on a 1:1 ratio with Game Boy Color systems, and for good reason - it rocks. Disney's Magical Tetris Challenge (Capcom, Game Boy Color, 2000) - Capcom, Disney and Tetris tried to form a magical combination in early 2000 with the release of this game for the Game Boy Color, as well as the Nintendo 64 and Sony PlayStation. The results were somewhat surprising, a basic Tetris experience with Disney characters thrown in for good measure. The game's a rarity these days, so if you can find a copy for cheap, pick it up. It's actually not bad at all. Tetris Worlds (THQ, Game Boy Advance, 2002) - THQ released the first Tetris game for the Game Boy Advance system with Tetris Worlds, but the game somehow missed the fun mark. 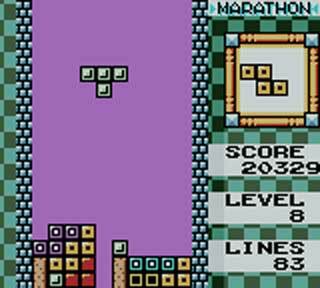 It combines variants from smaller Tetris games such as Cascade Tetris and Sticky Tetris into one complete game, with different rules and situations. However, the gameplay was a little stunted compared to other Tetris games, leaving it Worlds apart from other releases. 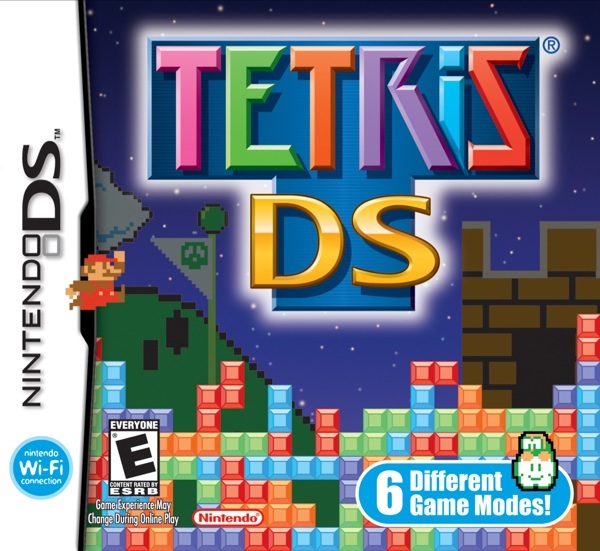 Tetris DS (Nintendo, Nintendo DS, 2006) - The Tetris series was dead for a little while, with no new releases for the Game Boy Advance or anything like that. However, Nintendo struck back with a vengeance in 2006 with the best Tetris game to date. Tetris DS features six different types of battle stages, along with a variety of Nintendo characters and bonus surprises. Better yet, it has full Wi-Fi Connection support, so you can challenge players online, as well as locally. If you haven't played this game yet, really, do yourself a favor and track down a copy. Your DS will thank you and love you for it (well, OK, it won't, but you get the picture). So what about...the Sony PSP? Well, it never got a version of Tetris. Neither did the Sega Game Gear, at least not in the United States. Both of these systems did get other puzzle games, such as Bust-a-Move and Baku Baku Animal, however. One question of mystery still eludes us, though. Why didn't the Game Boy Advance get a decent Tetris game direct from Nintendo? Well, the truth of the matter is, at the time they didn't have the rights. THQ held the exclusive rights to Tetris for a little while, and in some aspects, they still do. (Tetris Evolution was released for the Xbox 360 back in 2006.) However, Nintendo eventually found the rights again just in time for Tetris DS, so everyone eventually won. And that concludes this week's Retro Spotlight. Be sure to check back next week for another blast from the past!